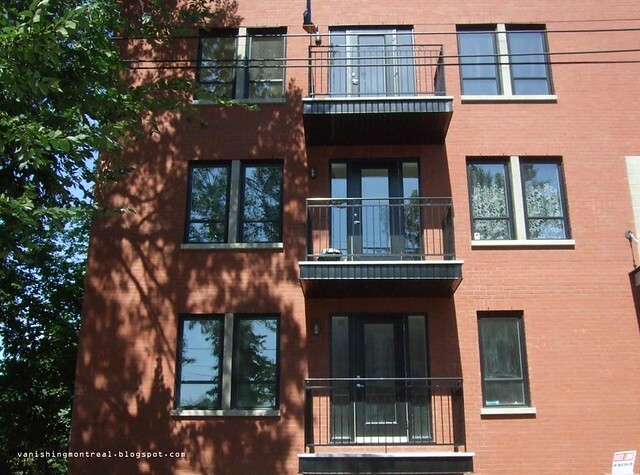 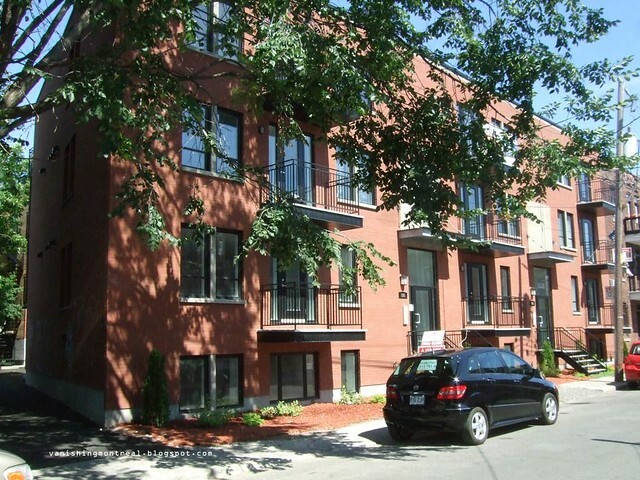 New condo building on Delinelle in Saint-Henri, next to Acorn. When I took the photos, half of the condos were still empty. 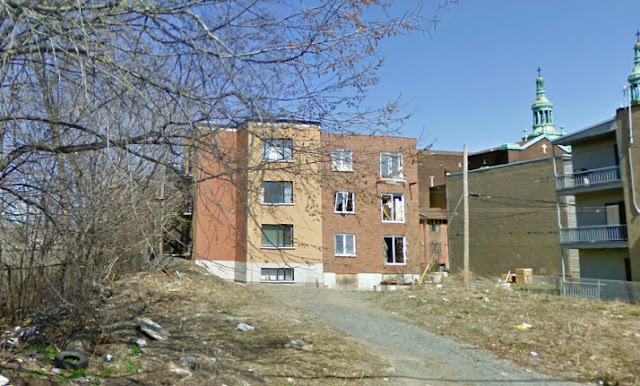 An empty lot was there, as seen in the image from Google Streetview.